Sakura Tissue-Tek VIP E150 Tissue Processor Histology Pathology Refurbished . New Life Scientific, Inc. Tested & Fully Functional. 90-Day Warranty. 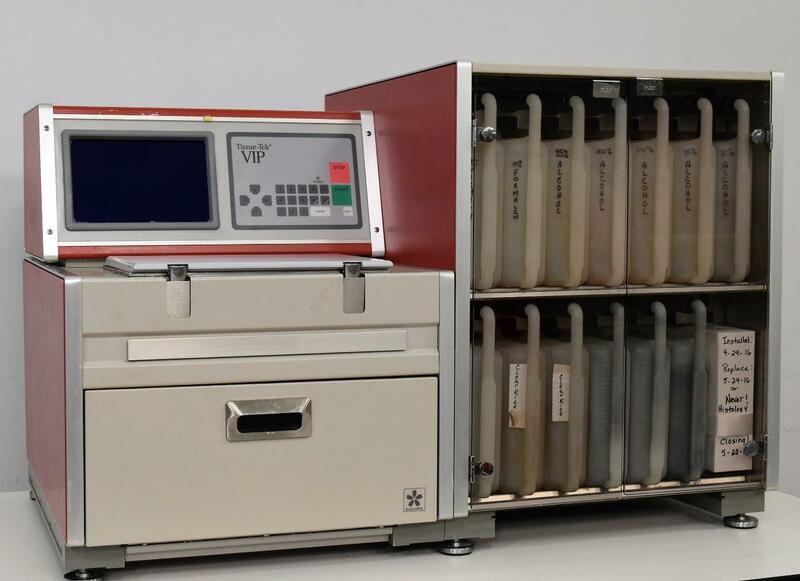 Our in-house technician inspected and tested this Sakura Tissue-Tek VIP E150 Tissue Processor, confirming it to be functional, both manual and programmed modes. Technician tested the pumps to insure that the fluid cycles as it should; he found no errors. The oven and the retort were both calibrated and read the temperature correctly.